The idea of feeling proud of ourselves seems to be one of many fading truth as we settle into adulthood (yes, I’m almost 40 and I still feel like I’m settling in to adulthood…okay, MAYBE it’s because I live with my parents, but I am pretty sure we all still feel somewhat shocked every so often about the growing chasm between our youth and our adult life and responsibilities!). What was the last thing you did that you were proud of? How did you celebrate that? Did you share your accomplishment or keep it to yourself (assuming you allowed yourself to acknoweldge it at all)? As I watch my children grow into little people, I am consistently blown away by the purity of their emotions. Lately the one that is popping out at me as they master potty training, lose teeth without tears, and learn new skills, is pride. The good kind of pride. The amazing feeling that happens when we overcome a fear or push through a mental block. The way we feel inside as well as the feeling of sharing that success with others and watching their praise rain down. One thing I see in the adult world is a fear of pride. A fear of showing it, feeling it and sharing it. And I believe this needs to be addressed. So I’m starting here with YOU! When I work with clients, I see a lot of excuses. Not in the way you may think (I see those, too!) but in regards to their wins. I watch them brush off the good choices they’re making by putting focus on the less awesome choices they made. I see hitting a small goal and wishing they’d hit it sooner or looking immediately to the next and how they’ve failed to get there yet. I was surprised by this question but it really made me think about how we view the world from inside our minds. The idea of being thought of as cocky or prideful feels icky so we tone down our inner voice to ensure that we don’t even think that we are awesome, let alone allow others to catch on that we think we’re awesome. My response was this: Yes, being seen as cocky is quite a put off. But those people don’t truly believe they are awesome. It’s the underlying insecurity and they way they make other people feel small so they can feel big is what is unbecomming. People who truly love themselves, who are confident and who are proud of who they are are the people we all gravitate to! They help us feel awesome and their soothing energy and confident presence is so pleasant to be around. So, rather than worry what other people think, just focus on you. True, genuine self love and pride feels amazing not just to you but to the people around you! Here are some of my best tips to get you started so you can be proud of you and share it with the world. Because it feels damn good! Every night sit down with a pen and paper (or a phone) and write down one thing you love about yourself. It can be something you did that day that you are proud of, a trait that you love about you or even a physical feature you like. No excuses and no negativity. Just focus on one positive. Set small goals. Set daily and weekly and monthly goals and celebrate them! I have accountability boards with the Savage Six that are a great way to celebrate your daily successes. 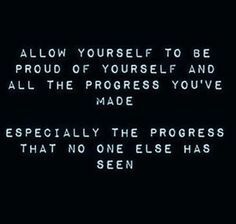 Allow yourself to be proud. Tell other people. Share your story and be proud of all the amazingness you do! Find a way to make a change. Find a hobby or something that intrigues you. Something that scares and excites you. Be okay with being scared of failure, that is when the most growth happens! And be okay with failing and finding a new path to success! Find new ways to challenges yourself and push your comfort zone. Learn a handstand or a cartwheel, take kickboxing classes, set a goal to fit into that dream dress, learn a new language or even read a book! Scary doesn’t have to be an adrenaline rush, it can just be creating a space for yourself that you may feel you don’t deserve. Make a change. Okay, now go out and be PROUD! Celebrate you and feel amazing! Older PostPicking the Diet Plan that's Right for You!